Congregational Administrator Elizabeth began working at James Reeb UUC in March of 2008. She has a BA in English and an MA in Library and Information Studies. She was a law librarian at a downtown firm and director of research at the UW Foundation before working as a volunteer for several organizations, including First Unitarian Society (FUS). At FUS, she helped found the Chalice Group Program (AKA small group ministry or covenant groups) and administered the program for six years before coming to JRUUC. 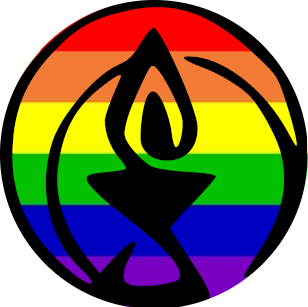 Elizabeth has been a Unitarian Universalist since 1992. Before that she was unchurched, having left Catholicism at age 13. In 1991, she went shopping for a faith community that ordained both women and LGBT folks, aware that only Reform Judaism, Unitarian Universalism (UU) or United Church of Christ (UCC) were valid candidates. When she went to FUS, she felt more at home. Through attending General Assembly, facilitating a Chalice Group, extensive reading, taking classes and seminars, and being part of Quest (a two-year spiritual deepening program), Elizabeth has gained a deeper understanding and love of our religious faith and the work we are called to do in the world. Be the change and walk toward trouble! Heather Yonker is an accomplished musician and multi-media artist. She has worked extensively as a musical director and choral director and has also produced her own award-winning experimental film. After completing a Bachelor of Music in Piano Performance from UW Madison, she began writing original musicals. Critics hailed her songs as “catchy” and “infectious.” Heather has been commissioned as a composer and has scored for original musicals, industrial videos, computer animations, dance-works and independent shorts. She has performed as a pianist and accompanist, as an actor for public theater and as a dancer for MCT and MTS. She holds a Master of Music with an emphasis in music for multi-media from the University of WI Madison. After a year and a half of fieldwork in Buenos Aires, she continues the study of Argentine music, with a specialty in tango. 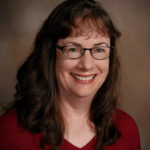 In addition to the college courses she presently teaches, she continues to teach private lessons, contributes to the annual Broad Humor Film Festival and The Madison Tango Society. She directed “Do Something,” a series of free events geared toward nurturing young women in the areas of music and media arts and last spring was the musical director for CTM’s, The Music Lesson.